I’ll admit, I am so glad that summer is right around the corner. I love having my little ones at home and I enjoy the more laid-back schedule that summer allows. I do, though, need to make sure I have lots of easy and, most importantly, FUN craft ideas in my summer arsenal. 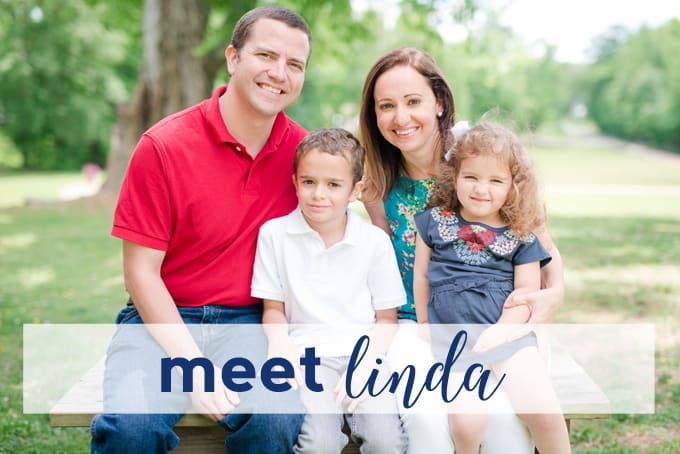 Crafts and activities where I already have the supplies on hand and my kids can help with the assembly are top of my list! 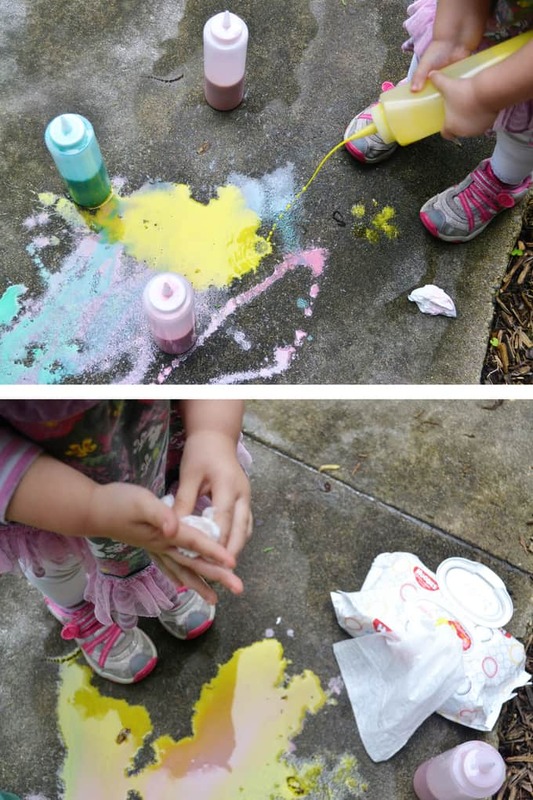 Enter homemade sidewalk chalk paint! The squeeze bottles make this activity extra fun, as does the addition of baking soda. Remember making volcanos in science class out of baking soda and vinegar? 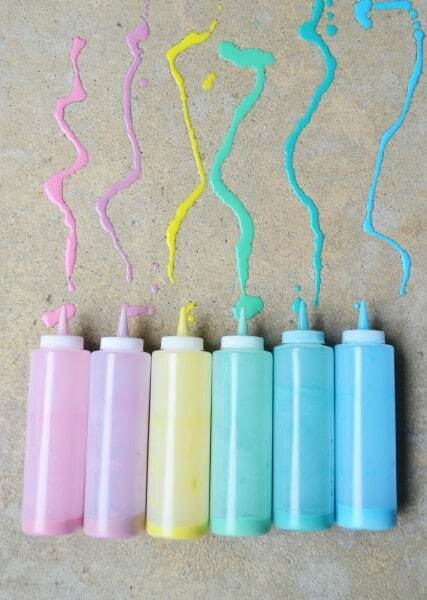 After you’re finished with your sidewalk chalk paint, use spray bottles filled with vinegar (we keep these around anyway for cleaning) to spray your paint for an extra dose of fun! 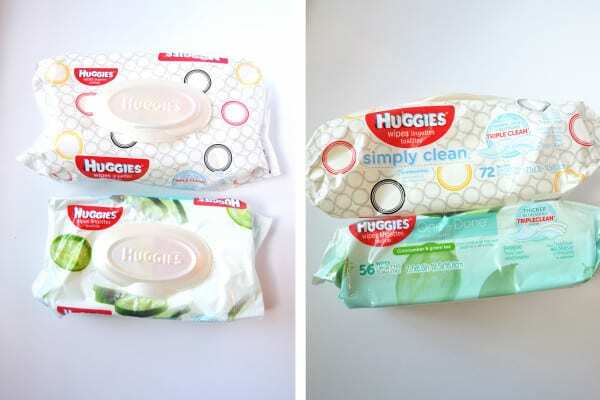 Once the fun is done, I used Huggies Simply Clean wipes for easy clean up. I use wipes for EVERYTHING in my house…from craft cleanup & small spills and messes, to mealtime cleanup and more. 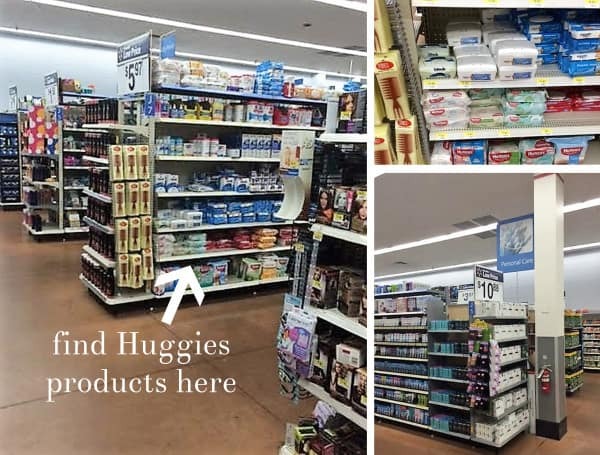 Huggies Simply Clean are perfect for lighter messes, and are ideal for hands & face cleanup. In a mixing bowl, combine equal parts baking soda, cornstarch, and water. Add in food coloring and mix. Use a funnel to transfer mixture to squeeze bottles. For my squeeze bottles, I used 2/3 c. each of water, baking soda and cornstarch. If you want to skip the “erupting” portion of the activity, you can omit the baking soda and just do equal parts cornstarch and water. 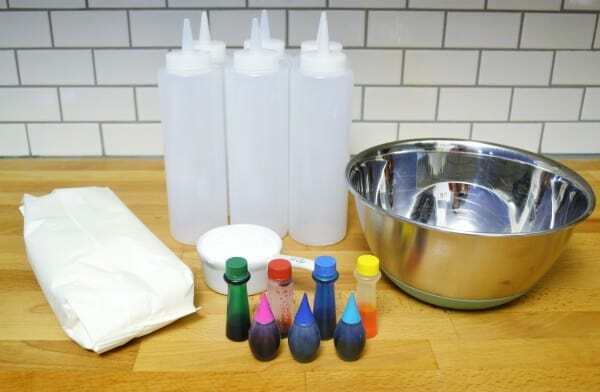 Add in your food coloring, funnel into your container and you’re ready to paint! 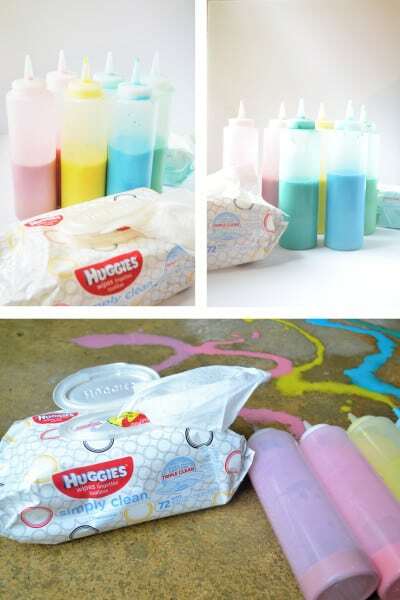 After we’re done, we use Huggies Simply Clean to wipe the paint off our hands and faces. I keep a pack of these on our back porch, in our diaper bag AND in our car for quick clean up! Making messes (and memories!) is, after all, what summer’s all about! Two quick notes: You’ll want to use the Sidewalk Chalk Paint immediately after you make it; the corstarch and baking soda tend to separate from the liquid and it can be hard to easily remix. Also, food coloring can stain sidewalks and patios. I recommend testing a small area before use and washing down your sidewalk with water after you’re done! I’d love to know: what easy and fun warm-weather activities are on your agenda this summer? I’d love to add more ideas to my list!